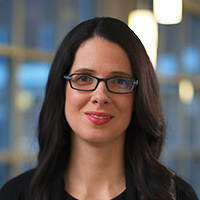 Hendricks Regional Health offers the unique opportunity for physicians and advanced practice clinicians to practice locally and stand out nationally. It’s the best of both worlds. And as illustrated by the renowned awards, accolades and accreditations we receive for our high quality, patient-centered care, you’ll have the opportunity to practice every day at a place that is truly the antidote to average. You will have the opportunity to put down roots, and flourish in a unique and growing community. Close to all that Indianapolis has to offer, Hendricks County has wonderful schools, parks, arts and entertainment. We’re proud to supply 22 stops – all locally owned artisan shops and cafes – on our region’s cultural trail. Hendricks Regional Health creates practice environments that are team-focused and fully integrated for a holistic approach to care. We’re focused on patient care, not volumes. Ultimately, we are shifting to a strong preventative health model where we focus on building relationships with our patients. 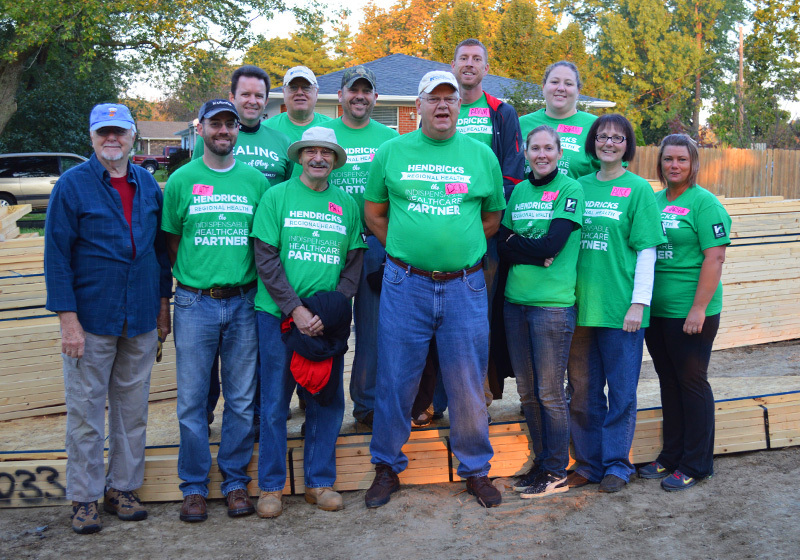 Our team makes an enormous impact within our community, broadening our footprint through volunteerism and service. 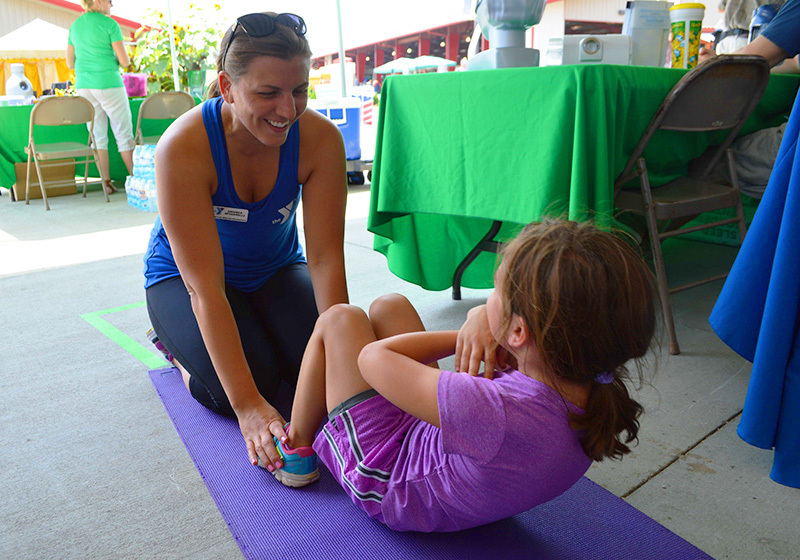 We partner with over 200 community organizations each year, all with unique missions to make our region a healthier, happier place to call home. New physicians and providers are encouraged to be fully immersed in designing their practice or schedule. We support our physicians and providers in growing their scope of practice, developing special interests and pursuing leadership opportunities. Our physician liaison and medical staff coordinator are there to provide new medical staff members with a thorough overview of clinical services, introductions to colleagues and hospital leadership and a streamlined orientation experience. Our in-house marketing and communications team support new physicians in building their practice and attracting new patients through advertising, digital and social marketing, networking events and community outreach opportunities. We are at the forefront of smart, innovative deployment of mid-level health professionals and advanced practice clinicians to further support patient care in the office setting. Our strong financial strategy means we can aggressively invest in our technology and infrastructure, with over $100 million in enhancements planned over the next five years. We put the patient at the center of the care and build all of these resources around them. We figure out how we can work with the patient as a team and be the village that gets them through their journey. 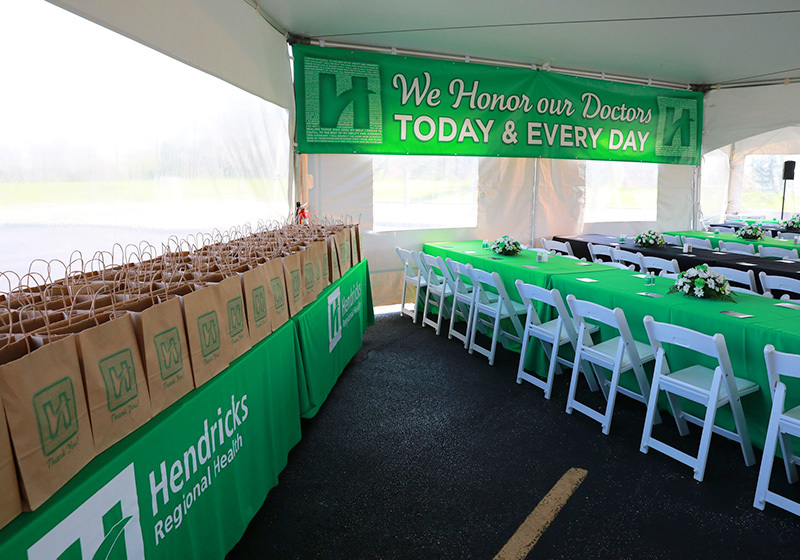 In 2015, Hendricks Regional Health was recognized as a Finalist in the Healthiest Employers® of Indiana Awards Program. On the Healthiest Employers® Index (HEI), we scored an 83.08 out of 100 possible points; the national average HEI is 49.57. This award comes on the heels of being named a Platinum Level Fit-Friendly Worksite by the American Heart Association – the highest possible distinction. Hendricks Regional Health also earned a Fit-Friendly Worksite Gold Level designation for the previous two years. We offer our physicians and advanced practice clinicians many opportunities each and every day to take charge of their health. Our programs include offerings such as on-site fitness classes in the early mornings, afternoons and evenings, as well as a low-cost fitness center for employees and their spouses. A strong commitment to quality from our healthcare team is demonstrated by recognition from many regional, state and national organizations. We focus on a culture of patient safety, working together to continuously improve communication, reduce the risk of errors and leverage technology to give better, safer care. Hendricks Regional Health is proud to be designated a 2018-2019 five-star hospital in quality and patient safety by the Centers for Medicaid & Medicare Services. We also received the 2019 Five Star Total Knee Replacement award, the 2019 Five Star Esophageal/Stomach Surgeries award and the 2019 Five Star Treatment of Pulmonary Embolism award from Healthgrades. 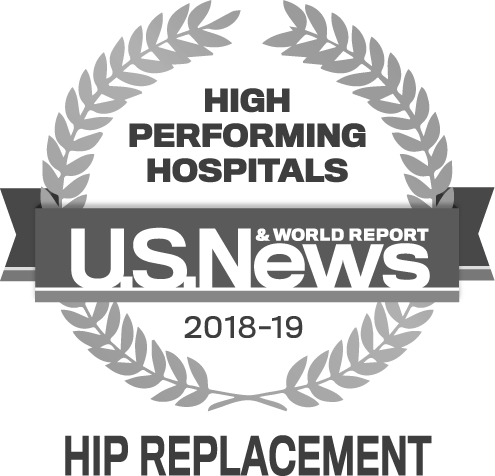 In August 2018, Hendricks Regional Health was honored with High Performance recognition from U.S. News & World Report. We achieved the highest rating possible in both hip and knee replacement. 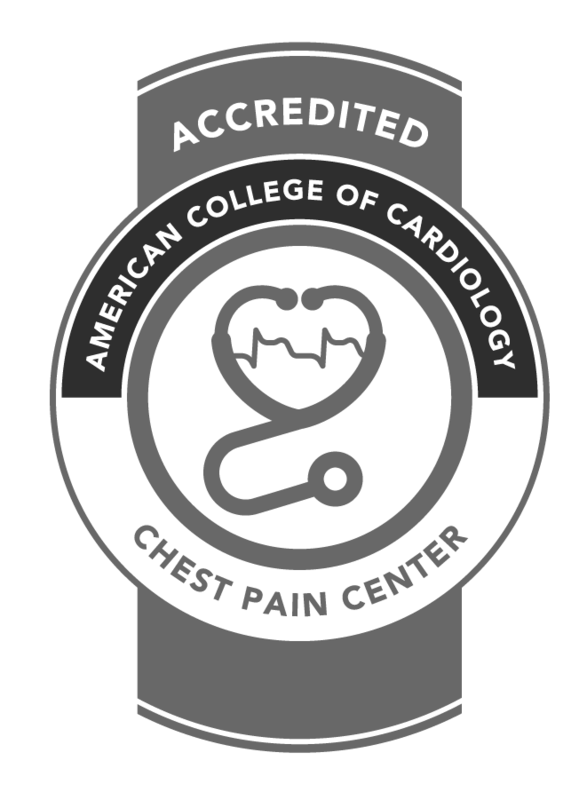 By demonstrating expertise in cardiac-related care, Hendricks Regional Health once again received full Chest Pain Center Accreditation from the American College of Cardiology (ACC). The accreditation means the systematic, evidence-based, protocol-driven approach to cardiac care at Hendricks Regional Health has allowed the health system to reduce time to treatment during the critical early stages of a heart attack. Hendricks Regional Health achieved the 2018 Healthgrades® Outstanding Patient Experience Award. We are one of only 13 hospitals nationwide to be recognized in the top five percent in the nation for Outstanding Patient Experience for eleven consecutive years. 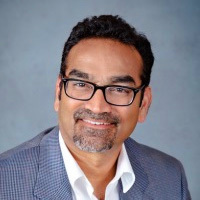 Lastly, our organization voluntarily reports patient safety metrics to Leapfrog, an independent agency that advocates for safer hospital experiences across the United States. Hendricks Regional Health is proud to have received five consecutive “A” ratings over the last five semi-annual reporting periods, beginning in Fall 2016. It’s the teamwork that helps me here. You can get to anybody anytime, and the patients feel more comfortable knowing that I’m talking to other physicians and we’re all on the same page. We’re seeking primary care providers, medical specialists, advanced practice clinicians, as well as other healthcare professionals to join our independent community health system. We offer opportunities across our organization, including the inpatient, outpatient, office, Immediate Care and Emergency Department settings. Whether you are currently practicing or are still completing your education, internship or residency training, we would love to begin a conversation about your future at Hendricks.